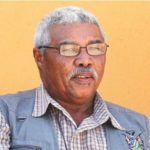 The traditional leader of the Topnaar People and Chairperson of the Nama Traditional Authorities Association, Kaptein Seth Kooitjie, who died at his home in Narraville at the end of January will be laid to rest at Soutrivier. 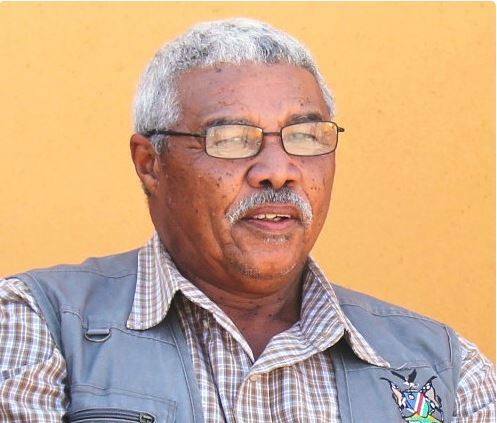 The funeral for the late Topnaar Chief Kooitjie is scheduled to take place tomorrow. At one of the memorial services that was held for the late Chief Kooitjie, high ranking politicians with ties to Walvis Bay and communities of southern Namibia urged the Nama communities of the country to unite. Deputy Minister of Urban and Rural Development and former Mayor of Walvis Bay, Derek Klaazen said the Nama Community should deal peacefully with the succession process when choosing a new leader. Margareth Mensah-Williams, the Chairperson of the National Council also said the late chief should be remembered as a peaceful man. The Governor of the Hardap Region, Esme Isaacks, requested the various other Nama chiefs who attended the memorial service to unite as one. The third and final memorial service that will be held for the late chief Kootjie will take place Homeb, where his homestead was. The memorial service will precede the funeral service at the church of Homeb. The late Chief Kooitjie will be laid to rest at Soutrivier where his parents and other family members are also buried. The late Chief Kooitjie served as traditional leader of the Topnaar people for the past 21 years. He died as a result of a severe asthma attack on Friday 25 January 2019.